From left: Drs. Debbie Emberly and Leslie Anne Campbell. (Provided photo). Time can be of the essence in mental health care, something Dr. Leslie Anne Campbell knows well from her days as a mental health nurse. 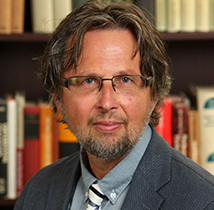 “I wanted to know how we could ensure that the best evidence available could be used for each patient, and how we would know as soon as possible that care was or wasn’t working,” says Dr. Campbell, the Sobey Family Child & Adolescent Mental Health Outcomes Chair and an assistant professor in the Department of Community Health & Epidemiology at Dalhousie Medical School. Dr. Campbell is hoping that a new pilot project will soon turn time spent in a waiting room into a valuable source of data for informing clinical decisions and improving patient outcomes. When patients and their families are seen by the IWK’s Community Mental Health and Addictions Program, they complete a standardized, pencil-and-paper questionnaire about their symptoms and how they impact important areas of their lives. This Strengths and Difficulties Questionnaire provides clinical staff a reliable picture of how well the young patient is functioning, and whether treatment being provided is working. The hand-written questionnaire is slow to process, however, with results unavailable to clinicians until after the patient has left their appointment. Presenting the questionnaire to patients electronically on an iPad would result in answers being automatically scored, compared to previous encounters or an overall average, and made accessible to a clinician during the same appointment. The trial use of iPads will be implemented in the IWK’s Outpatient Community Mental Health and Addictions clinics, located in Halifax, Sackville and Dartmouth, as soon as February 2019. The clinics help children and youth up to the age of 19, and their families, who are experiencing mental health and addictions difficulties. The project is being funded under the IWK’s Translating Research into Care (TRIC) program, which provides grants to projects that seek to improve patient-reported outcomes and reduce wait times and/or the need for health care. Dr. Campbell is the project’s co-principal investigator, along with Maureen Brennan, the IWK’s Director of Mental Health and Addictions. “This project is a partnership between researchers, clinicians and administrators,” says Dr. Campbell, noting that Drs. Debbie Emberly and Susan McWilliam of the IWK’s Research, Evaluation and Outcomes group are co-investigators on the project. Aside from helping patients and their families who visit one of the IWK’s community clinics, Dr. Campbell hopes the increased use of technology will shape outcome-based approaches to care delivery. Wednesday, January 30th marks Bell Let’s Talk Day, an initiative started by the media company in 2010 to raise awareness about mental illness in Canada. While the annual event has unquestionably increased Canadians’ awareness of mental health and mental illness (as well as raising close to $100 million for mental health programs across the country), Dr. Stan Kutcher asks that important and necessary increased awareness be paired with increased mental health literacy and warns of the danger of confusing normal, everyday negative emotions with symptoms of mental illness. While Dr. Kutcher says that increased awareness of mental health and mental illness is a positive development, and Bell is to be commended for their support of this important issue, he notes that people who are suffering from a mental illness may have difficulty accessing the care they need due to an increased demand for mental health services by those who may not actually require that level of care. He also notes that best available evidence-based mental health care should be easily and rapidly accessible for those people who need it, when they need it. As part of his role as Sun Life Financial Chair in Youth Mental Health, Dr. Kutcher and his team have produced resources available at teenmentalhealth.org that seek to increase the understanding of mental health and mental illness and decrease the stigma of mental illness. Dr. Kutcher encourages Canadians to join the social media conversation on #BellLetsTalk Day, and suggests that, as we do so, we should all become better informed, and “talk smart” when it comes to mental health and mental illness. From experiencing information overload in the early days, to stressing over clerkship and residency decisions in later years, medical students can feel the strain over the entirety of their program. “We’re lucky at Dalhousie to have a small, close-knit medical class that can look out for each other,” says Michael Mackley, president of the Dalhousie Medical Students’ Society (DMSS) and a member of the Class of 2021. Mackley notes that, through generous support from the Class of 1983, the DMSS hosts a Wellness Week each year and participates in a national month-long program through the Canadian Federation of Medical Students. This year’s program is centered around four themes: Social Wellness, Mental Wellness, Physical Wellness and Nutrition Wellness. Mackley acknowledges it can be difficult to offer wellness activities for students in clerkship, but hopes to improve on this in the future. Densmore is helping to organize March’s upcoming Wellness Week, and coordinates regular wellness-related activities. Monthly social events are organized by one of the classes that all students are encouraged to attend. Support and resources are also provided to medical students through the Office of Student Affairs. Each medical class includes Student Affairs and Wellness Liaisons (SAWLS), representatives chosen by their peers who remind students to self-assess the state of their own mental health. “SAWLS are key student leaders to connect classmates to counselling and well-being programs and services offered through the Office,” says Forward. Whether it’s by improving access to clinical care, promoting increased mental health literacy or ensuring the wellness of medical students, the faculty, staff and students at Dalhousie Medical School strive to address the challenges posed by mental health and mental illness in their own unique ways. If you or anyone you know is suffering from mental illness, resources are available. If you are in crisis and need immediate help, please go to your local hospital or call 911 immediately. The Nova Scotia Mental Health Crisis Telephone Line provides crisis intervention for children, youth and adults experiencing a mental health crisis or mental distress: 902-429-8167 or 1-888-429-8167 (toll free). Bell Let’s Talk’s website lists a variety of resources for people of all ages. Dalhousie’s Student Health & Wellness Centre offers same day and booked appointments. For Dalhousie medical students, wellness resources are listed on the Dalhousie Medical Students’ Society website, and the Medical Student Affairs Office is there to support students throughout their program.